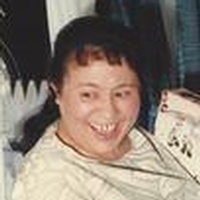 She was the beloved wife of 48 years to Carlos Gonzalez Conde of Framingham. Born in Rio Grande, Puerto Rico, she was the daughter of the late Carlos Vasquez and Paulina Rodriguez. Beside her husband Carlos, she is survived by their children, Daisy Rodriguez of FL, Kenny Gonzalez of Franklin, Edwin Gonzalez of Framingham and Caroline Gonzalez of FL; grandchildren, Krystalyn Morales of FL, Yazelyn Gonzalez of Framingham, Gianni Garcia of FL, Yessenia Maldonado of FL and Isabel Garcia of FL. She is also survived by her brother Carlos Vasquez of Framingham and many nieces and nephews. Relatives and friends are invited to attend a time of visitation on Monday, April 15, from 4 to 8 p.m. at the Iglesia Getsemani Pentecostal Church, 45 Hollis Street in Framingham. In lieu of flowers, expressions of sympathy in her name may be made to Iglesia Getsemani Pentecostal Church, 45 Hollis Street, Framingham MA 01702.